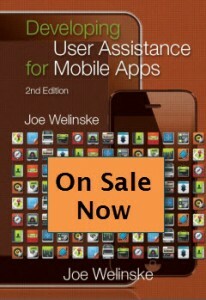 The second edition of Developing User Assistance for Mobile Apps was published in 2014. Here is a complimentary copy of the first two chapters from the book. The book is still available in its entirety in print or PDF.